through the ancient wisdom of the pre maori Waitaha tribe. Join Eva on an unique shamanic journey. This is a deeply transformational journey, with a real authentic shaman, who has devoted his life to support humanity. This is not the kind of trip you can easily create on your own. This is not a retreat or even a tourist trip. 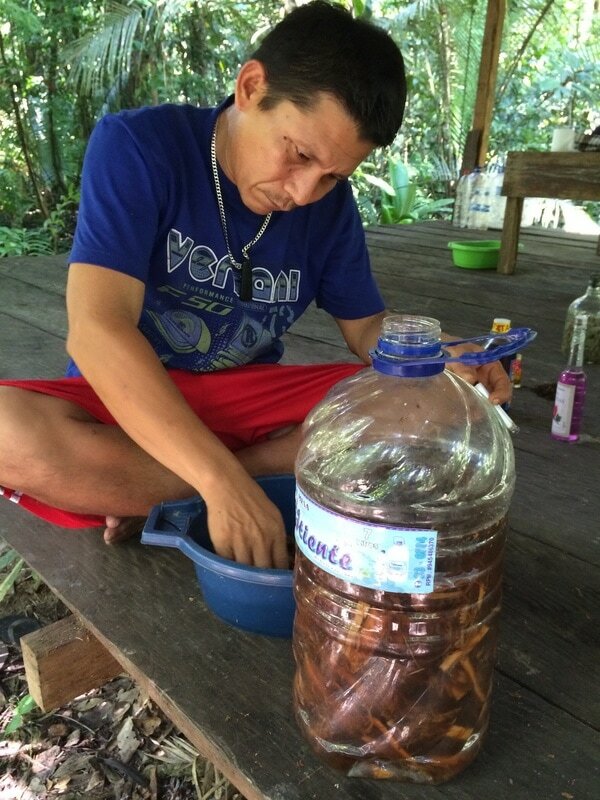 We'll be living with Marlon, the shaman, and his family deep in the Peruvian jungle. They call this place "el Centro", the centre of the jungle, where humans are only now beginning to venture in. We will live the way they do, very simple... but with all our basic needs met. There is no electricity and no running water. When the sun goes down, we all go to bed... or possibly talk or read with the support of candles and flash lights. Some nights the shaman will hold ceremonies with medicinal plants, and you are welcome to join him if you want to (completely optional). The next day, he will share what he "saw" in and about you, usually deep insights that are opportunities for deep transformation. Some days we will offer guided walks through the jungle, pointing out animals that our untrained eyes would otherwise miss etc. Come experience a life of Being, as opposed to Doing... even while being in action. This is suitable if you want to experience the jungle and it's remedies. Reserving one of the few spots available, requires a 500 USD non-refundable deposit. Marlon's grandfather recognized his abilities early on and his official training started at the age of 5. At the age of 10, his grandfather took Marlon on a walk, deep into the jungle. They built a simple hut and then his grandfather left to go and get supplies. He didn't return... for 10 years. Young Marlon lived alone in the jungle, left to trust in himself and the guidance of the jungle, as well as higher sources. He has worked as a shaman and healer all his life. 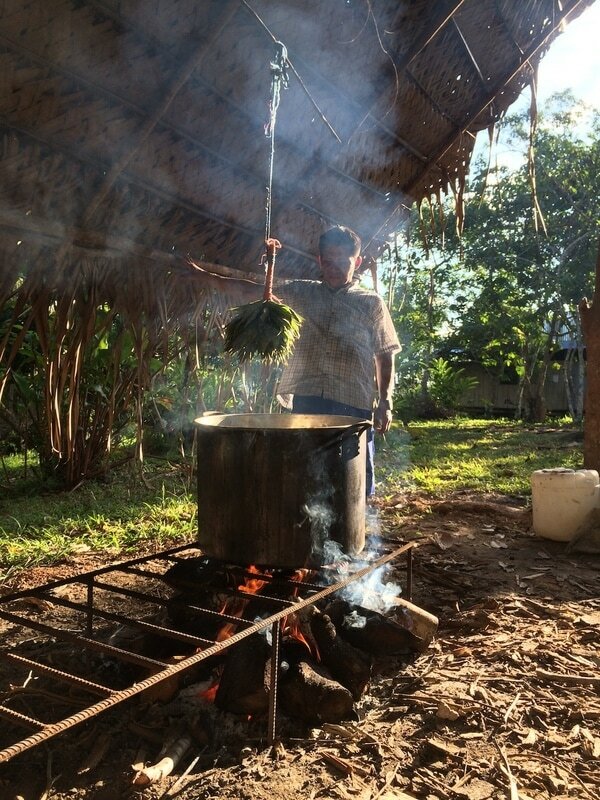 The medicinal plants of the jungle, as well as all other indigenous cultures, are the original herbal remedies. Made from roots, sap, leaves or any other part of the plants, these different remedies have been used and refined over thousands of years. ​As opposed to western medicine, these remedies work on your whole being - body, mind and emotions, as well as the spiritual aspects... everything is addressed, and aligned, as far as you are ready to go. Eva Charlotte has trained and worked with masters from many different traditions, all over the world... including Marlon. 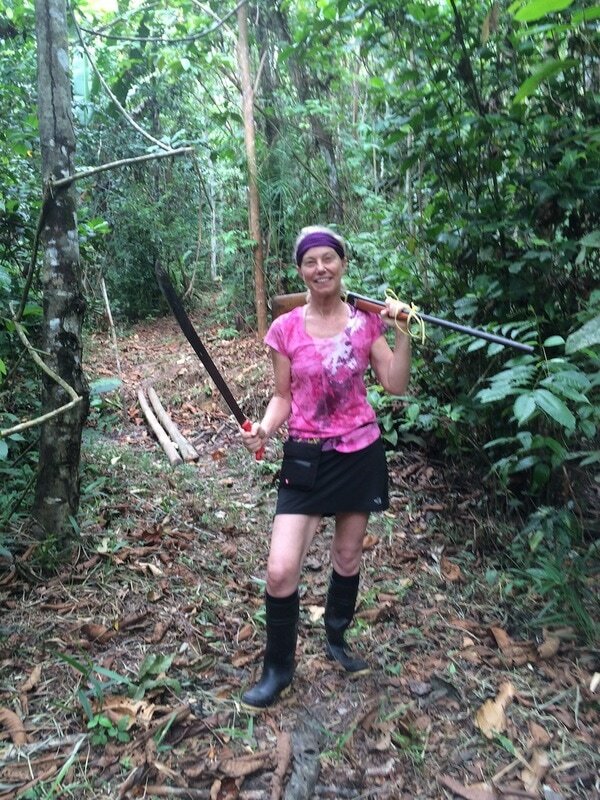 When she got seriously ill with Lyme disease, a few years back, "circumstances" led her to the Peruvian jungle and the medicinal plants. Where nothing else seemed to work, even after years of medicating, the plant remedies shifted everything in only a few weeks time. Eva now returns for her own health regularly. Day 2 we will visit Belen, the famous market place in Iquitos. Here we will stock up with everything we might possibly need, during our time in the jungle... once we leave the city, there will be no more shopping opportunities. We'll buy food for or one or two weeks, plus whatever personal needs you might have. We will have lunch in Belen, before we head to the port Nanay to catch our river taxi up the Amazon river, heading for the village of Santa Maria. Our shaman Marlon has a home there and will be there to greet us. ​Depending on weather and time circumstances, we'll either spend the night in Santa Maria, or continue into el Centro that evening. From Santa Maria our transportation will be the canoes Marlon and his family has built themselves, by hand, using mainly machetes. We'll travel on side rivers of the Amazon for 45 minutes or so, through beautiful scenery... keep an eye out for monkeys, birds, butterflies... and if we're really lucky, maybe even the pink dolphins that live there. 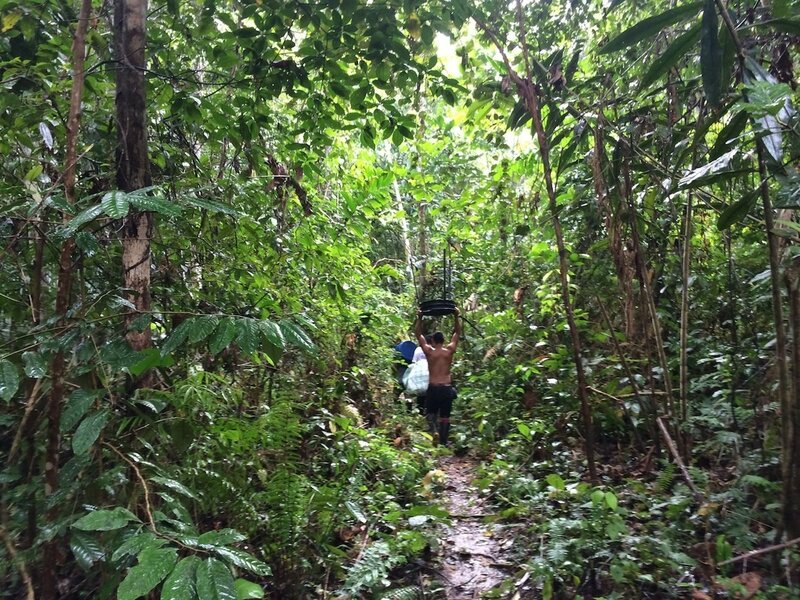 Once we have gone as far as the boat can take us (differs depending on water level) we will walk, by foot, through the jungle for another 20 - 45 minutes. There are no roads, no paved walk ways... just a trail through the jungle. We might have to step over a newly fallen tree or balance on a trunk to cross a wet patch. All of our luggage and supplies will need to carried. Marlon and his family are there to help, but it is essential to be aware of what you choose to bring. In el Centro we'll get ourselves organized into simple casitas (small huts), unpack and settle in. Marlon will share how he perceives the ceremonial and transformational work needs to be performed. Once he has us there, in front of him, he'll decide the best way to proceed. Most likely there will be a ceremony that first night (they are always held at night) as Marlon will get more information on what needs to be done, through visions during the ceremony. During our stay with the shaman Marlon, he will be our main guide and teacher. The schedule will be set by him, based on the needs he is perceiving from us individually and as a group. There will be several ceremonies offered at night time. Maybe some of us will need other remedies, which in that case will be picked in the jungle. Some days, if weather permits (this is the dry season, so it should not be a problem) we will have guided walks in the jungle (optional). One of the most powerful things you can do these couple of days, is to let go of the need to Do Anything and just Be... focus on the inner work Marlon and the remedies are guiding you to... there truly is a unique opportunity here, if you are ready and willing to take it. For those who have chosen the one week option, it is time to return to Santa Maria, Iquitos and onward. The journey from el Centro to Iquitos can take 3-4 hours, so book your flights out of Iquitos late afternoon or evening on the 10th... or spend another night at La Casona and enjoy more of Iquitos. 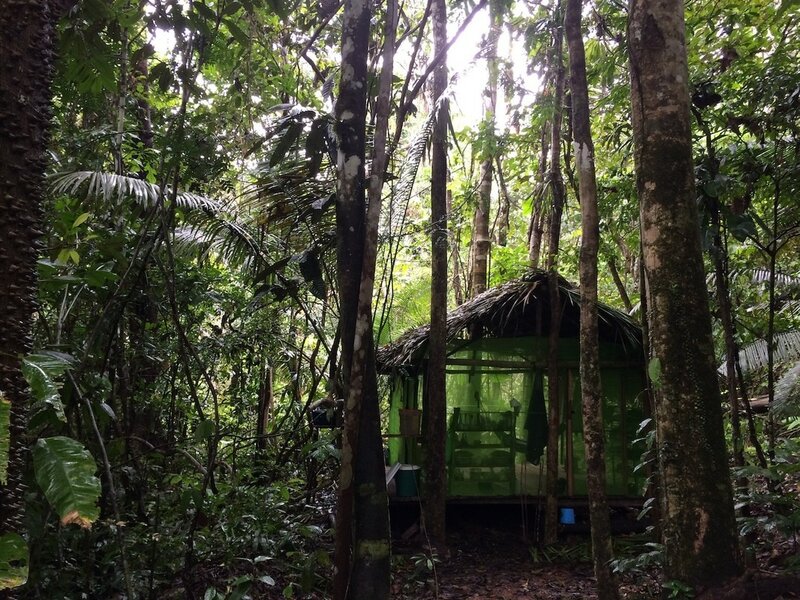 For those who have chosen to stay two weeks, we will continue or deep journey into ourselves, guided my Marlon the shaman and the medicinal plants for another week, as well as enjoying the jungle and each other. 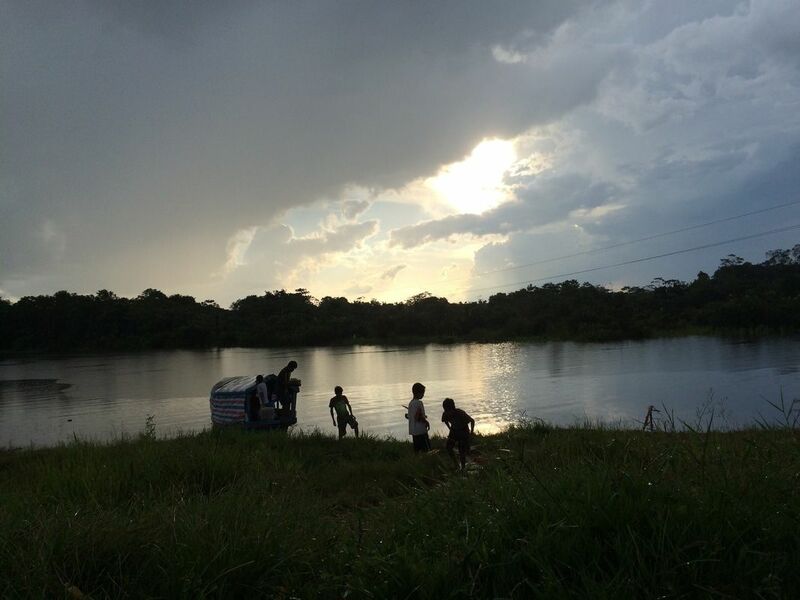 It is time for us to return to Santa Maria, Iquitos and onward. The journey from el Centro to Iquitos can take 3-4 hours, so book your flights out of Iquitos late afternoon or evening on the 17th... or spend another night at La Casona and enjoy more of Iquitos.